The Supreme Court said a subordinate court in the country was grappling with an average of around 4,000 pending cases. NEW DELHI: In a grim reflection of the burden of cases on the judiciary, the Supreme Court today said a subordinate court in the country was grappling with an average of around 4,000 pending cases. 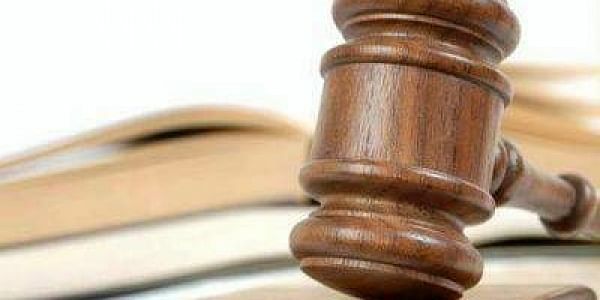 The top court, while favouring creation of special courts to exclusively deal with criminal cases involving politicians and their speedy disposal, said the average number of cases being dealt with by a subordinate court was far more than what should have been there. "The average number of cases each court has in the country is about 4,000 in trial courts. 4,000 is far more than what should be there," a bench comprising Justices Ranjan Gogoi and Navin Sinha said. "Even if the Supreme Court says that complete the trial (in cases involving politicians) within one year, unless the judge is only hearing these cases, it would be difficult," it said. Representing the Centre, Additional Solicitor General Atmaram Nadkarni asked the bench whether these special courts, which would exclusively deal with criminal cases involving politicians, could be combined with special CBI courts which already exist across the country. "No, do not combine it with anything else," the bench said, adding "it is in the interest of nation". "Insofar as setting up of special courts are concerned, setting up of special courts and infrastructure would be dependent on the availability of finances with the states," the bench noted in its order. It said the problem could be resolved by having a central scheme for setting up of such special courts on the lines of fast-track courts which were established by the Centre for a period of five years and extended further, a scheme that has now been discontinued. The apex court said a scheme in this regard should be laid before it on December 13, the next date of hearing, indicating the amount of funds that could be earmarked for setting up of special courts. After this, the issues of appointment of judicial officers, public prosecutors, court staff and requirement of manpower and infrastructure would be dealt with, if required, by interacting with representatives of the respective states, it said. The Centre told the court that it would place the details as sought by it within six weeks. The top court was hearing petitions seeking to declare the provisions of the Representation of the People (RP) Act, which bar convicted politician from contesting elections for six years after serving jail term, as ultra vires to the Constitution.